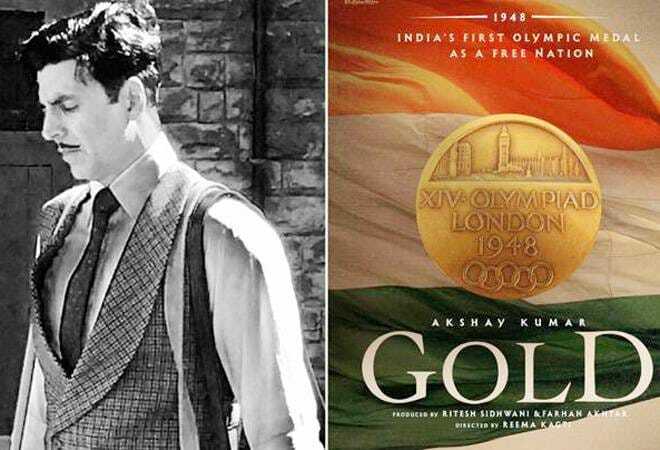 Reema Kagti directed 'Gold' has collected Rs 33.25 crore after two days of its release. According to trade analyst Taran Adarsh, the movie collected Rs 8 crore on the second day of its release. Gold saw a massive opening, hoarding Rs 25.25 crore on the initial day. It is facing a stiff competition from Satyameva Jayate, which released on August 15 as well. Gold has therefore become Akshay Kumar's best first day performer. It now stands third on the list of highest opening in 2018, with Sanju (Rs 34.75 crore) and Race 3 (Rs 29.17 crore) as first and second respectively. John Abraham's Satyameva Jayate has also made a decent start, aggregating Rs 20.52 crore and Rs 7.92 crore on first and second day respectively. Taran Adarsh feels that there might be a record-in-the-making for both the movies, courtesy a five day extended weekend. Gold is a sports based thriller that depicts independent India's first Olympic gold in hockey at the 14th London Olympiad. Akshay stages the role of the team manager, Tapan Das. Gold also features television actor Mouni Roy.